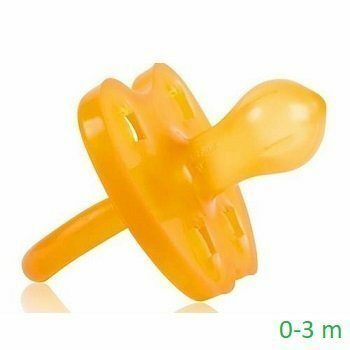 This soft natural rubber teether is ideal to use when your baby is teething as it helps relieve common teething symptoms. Chewing on a natural rubber teether with its textured surfaces will ease teething pain by stimulating and massaging babies sore gums. 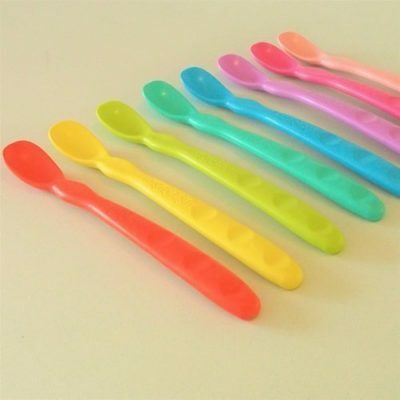 Tactile stimulation also assists your baby to develop creative thinking, motor skills & sense of touch. 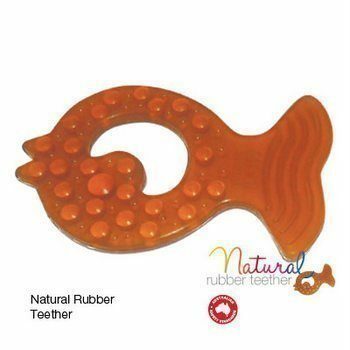 This natural rubber teether is the hygienic and safe alternative to other teething toys. The natural rubber teether is easy to grasp and soft and soothing for your baby. All Natural Rubber Teethers are European Union (EU) certified in the areas of safety, health and environment. Natural rubber products are produced using a sustainable raw material, the tree sap from the rubber tree grown and then made in Malaysia. Choosing a safe teething toy for your baby is one way you can limit your child’s exposure to harmful endocrine disrupting chemicals, such as BPA. Hormones are the body’s chemical messengers that help tell tissues and organs function. Endocrine disruptors are chemicals that mimic hormones. As these chemicals accumulate in the body, evidence suggests these chemical can influence and damage endocrine and reproductive systems of animals and humans when ingested. Chewing on the natural rubber teether will assists with the niggling teething pain associated with the big teeth (molars) erupting. It is specially designed to reach the back teeth for this purpose.